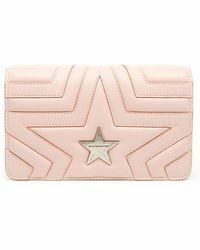 Combining inherent confidence and sultry femininity with refined tailoring, Stella McCartney is globally renowned for her beautifully contemporary designs and dedication to sustainability and functionality. 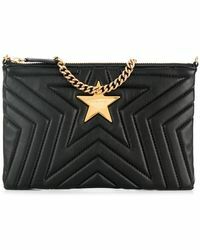 Launched in 2001, the Stella McCartney fashion house now has over 30 stand-alone stores and boasts collections of womenswear, accessories, lingerie and kidswear. 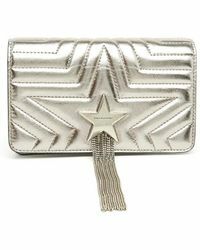 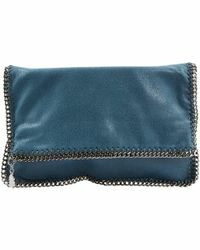 Stella McCartney clutches incorporate trademark metal hardware, embellishments and printed faux-leather. 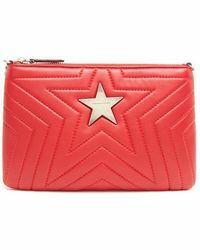 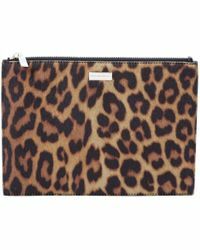 All styles are fully lined and branded with the Stella McCartney logo to be instantly recognisable.